The future of flexible is just beginning to unfold. In the presentation titled, Printed, Hybrid and Flexible Electronics: Status, Forecast, Innovation and Opportunities, Raghu Das (@Raghu_IDTechEx), CEO of IDTechEx, spoke about the latest form factors in stretchable and structural electronics. Das explained that many of these new capabilities are enabled by advancements in materials. For example, flexible plastic is used as a substrate for electronics. This allows an electronic device to bend, wrap and conform to a desired shape—revolutionizing the way we make and use technology. Take wearables, for instance. With the increasing level of sensors and systems built into these technologies, consumers are able to stay connected—anytime, anywhere. These improvements are driving growth in more and more applications. At the conference, Royole Corporation presented the first foldable smartphone with fully flexible displays. The phone is set to hit market as soon as December 2018. Other companies presented on their progress in printed electronics. Instead of focusing solely on being a components provider, many companies are transitioning towards being a systems/solutions provider, filling a gap in the market. And while these technologies have been on the horizon for nearly a decade, it’s likely we’ll see a push towards customization and personalization. The need for smaller and smarter devices drives the development of electronics toward customization and personalization. In the presentation titled, Customization and Personalization: Manufacturing for the Connected Ecosystem, Girish Wable (@girishwable), senior manager of strategic capabilities at Jabil, spoke about additive manufacturing in relation to electronics. Often referred to as 3D printing, additive manufacturing is the process of printing materials layer by layer under computer control to create three-dimensional objects. The ability to modify 3D-printed materials opens the door to new opportunities. While still relatively new, the applications for additive manufacturing seem promising. Today’s engineers are able to experiment with new materials to create customized designs and shapes. 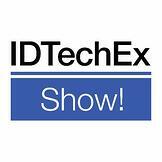 With over 275 speakers from around the globe, covering these and related topics, you won’t want to miss the upcoming IDTechEx conference in Berlin, Germany in April. Promerus is a technology-driven organization committed to building better solutions for electronics materials. To help you unlock your competitive advantage in a transformative industry, we encourage you to download, The Complete Guide to Semiconductor Materials to see what Promerus can do for you.